A house doesn't have to be haunted to be absolutely terrifying. Sometimes the design, will do all of the work. 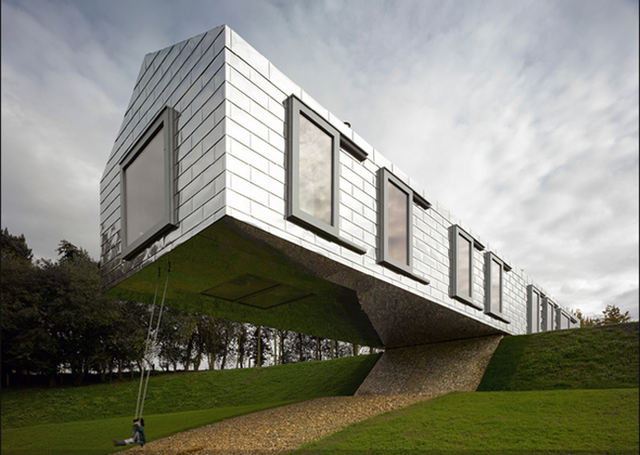 Like this house...a cleverly engineered home on the English countryside. Its reflective walls and striking design aim to make people re-evaluate the idea of both modern architecture and quaint country life. Check out that cute kid swinging underneath it!